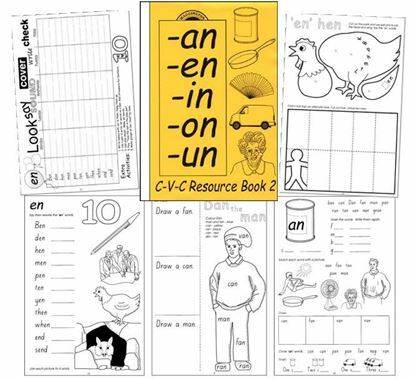 Second in a 6 ebook set carefully covering vital CVC (consonant - vowel - consonant : -an -en -in -on -un) 3 letter word combinations to help develop early stages of reading, spelling and general written language. 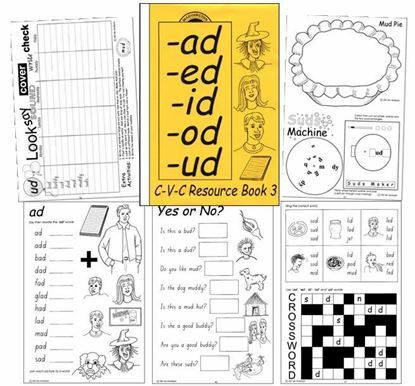 Third in a 6 ebook set carefully covering vital CVC (consonant - vowel - consonant : -ad -ed -id -od -ud) 3 letter word combinations to help develop early stages of reading, spelling and general written language. 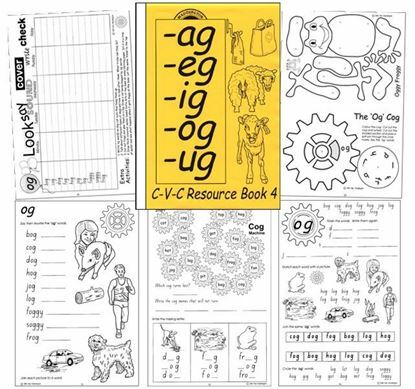 Fourth in a 6 ebook set carefully covering vital CVC (consonant - vowel - consonant : -ag -eg -ig -og -ug) 3 letter word combinations to help develop early stages of reading, spelling and general written language. 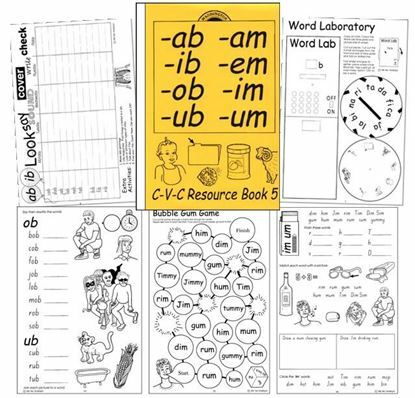 Fifth in a 6 ebook set carefully covering vital CVC (consonant - vowel - consonant : -ab -ib -ob -ub -am, em) 3 letter word combinations to help develop early stages of reading, spelling and general written language. 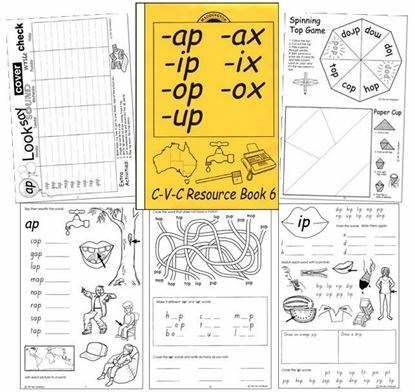 Last in a 6 ebook set carefully covering vital CVC (consonant - vowel - consonant : -ap -ip -op -up -ax -ix -ox) 3 letter word combinations to help develop early stages of reading, spelling and general written language. 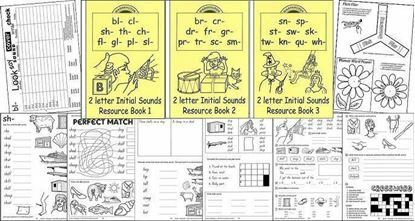 6 ebook set carefully covering vital CVC (consonant - vowel - consonant 3 letter word combinations to help develop early stages of reading, spelling and general written language. 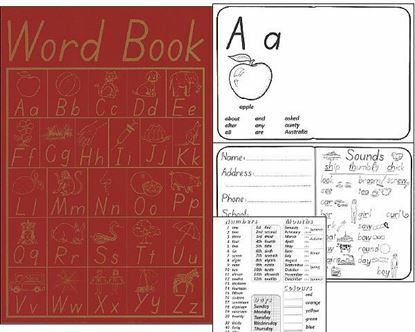 Enables classroom teachers to truly immerse their students in words! 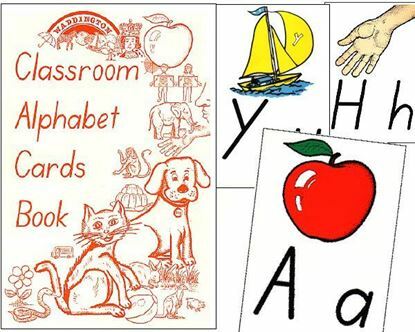 Pages can be enlarged under Educational Statutory Licence to A3 size and displayed around the room. 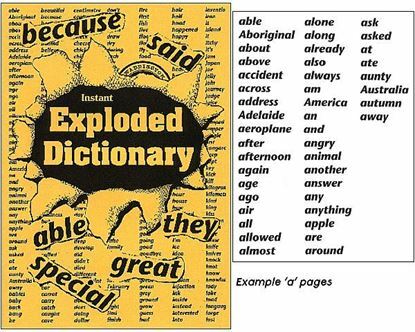 Set out in dictionary fashion, students will develop word search skills and reinforce their spelling of commonly used words. 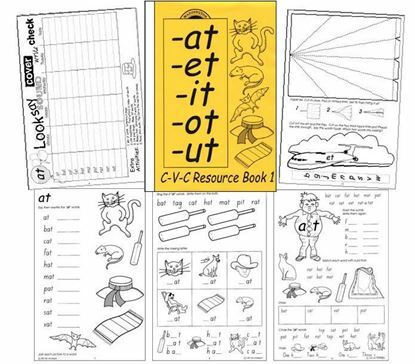 A must for any lesson where writing occurs. PLEASE NOTE - This edition has now been superseded by the Second Edition - SKU code ED2 and the Second Edition is FREE with any ebook purchase. 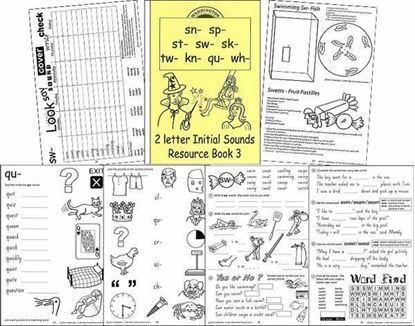 Enable classroom teachers to immerse their students in words that are highly useful for writing, typing and texting. 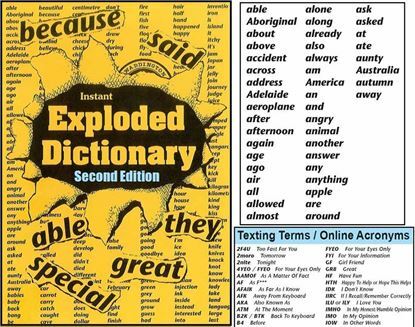 Pages are set out in dictionary fashion and ready to be printed on A3 sheets and posted around your room. 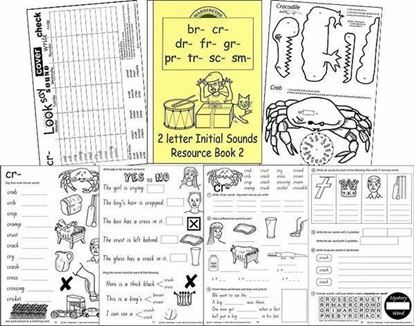 Students will develop learner independence and word search skills. Common texting terms and online acronyms included. 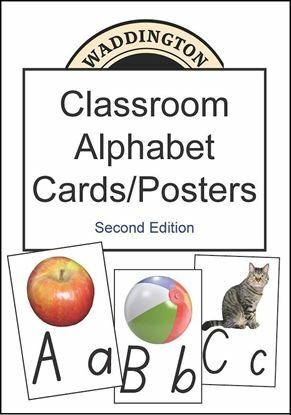 Over 80 posters, for many classroom purposes, presented in A4 or A3 format so you can easily enlarge or reduce them on your printer under Educational Statutory Licence provisions. 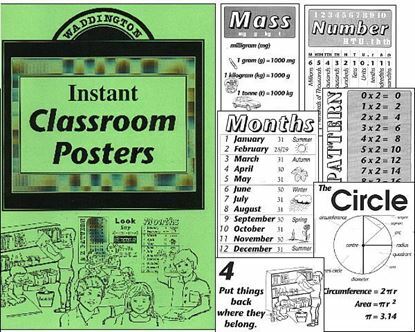 Each poster provides efficient imagery to help students reinforce important information and correlate facts. 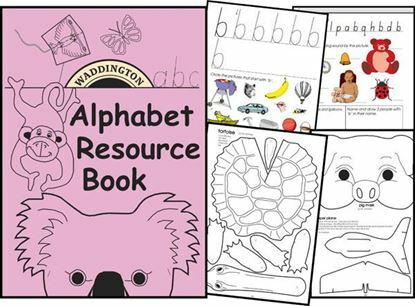 Includes Classroom Rules, Consequences Chart, Numbers, Days of the Week, Months of the Year, Colours, Maths signs and labels, Birthdays, Spelling Rules, Pattern (tables) charts, wheels, Relationships for Time, Mass, Length, Capacity, Fractions, Area.....and plenty more! 76p. 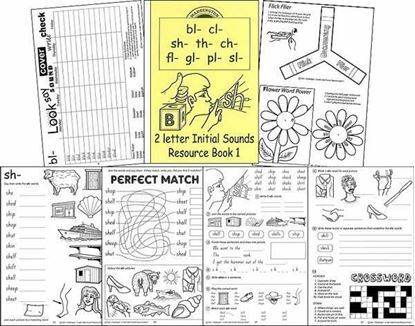 Comprehensive teacher poetry resource ebook containing poems most often used and sought after, poems handed down from teachers to teacher, a poem for each letter of the alphabet, a classification with examples section for all the different forms of poetry and much more! Best poems chosen regardless of cost. 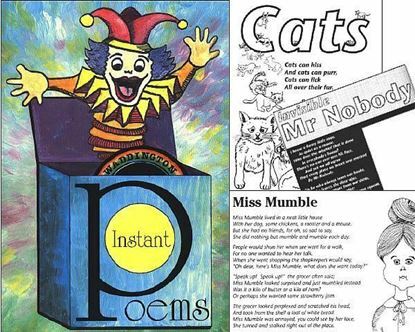 Fantastic range of over 300 ready to use poems from a great selection of poets including Pam Ayres, Lewis Carrol, Roald Dahl, CJ Dennis, Max Fatchen, Heinrich Hoffmann, Issa, Robin Klein, DH Lawrence, Henry Lawson, Edward Lear, Dorothea Mackellar, Spike Milligan, AA Milne, Ogden Nash, Banjo Paterson, James Reeves, Shakespeare, Robert Louis Stevenson, Susan Stranks and Colin Thiele.